Good breeders take care to select good parents, provide proper health care, take time to raise a litter properly, and put in a lot of effort to ensure well-adjusted, healthy puppies. They rarely breed more than 2 or 3 litters a year, sometimes less than that. Finding a good breeder is not easy, but it is definitely worth the effort. 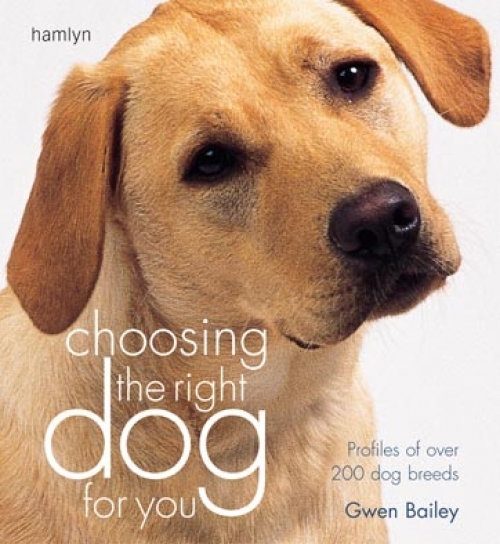 For information on finding the right breed of dog for your family and lifestyle, go to 'Choosing The Right Breed'. By the time puppies are 7-8 weeks old and ready to go to new homes, they will vary greatly in brain development depending on how they have been raised. This will have a profound effect on their future behaviour. 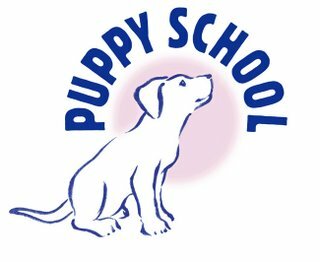 Puppies kept in isolated or barren environment with limited access to adults, children, other animals and other situations will find it very difficult to cope in a normal busy household. They are likely to be anxious and fearful which may develop into aggression and other behaviour problems later. To avoid this, always choose a puppy that has been raised in a family home. Always insist on seeing the mother with the puppies and check on her temperament. Avoid buying puppies where the mother is absent, can’t be trusted with people around her puppies, or is aggressive. Make sure the puppies are well socialised with people, and well habituated to novel objects, smells, sounds and sights. The videos below show a litter of a litter of puppies that have not had much social contact with humans (Golden Retrievers) and a litter of well socialised puppies (black Labradors). When viewing puppies, look for those that are a sociable as the Labradors below and give less well socialised puppies a miss. It is often hard to walk away without a puppy when visiting a litter, so try to do your homework well in advance over the phone, and try to have several options so that all your puppies are not in the same basket! Choosing a well socialised puppy over a more isolated puppy is important, and can make the difference between a well-adjusted friendly dog, and a fearful aggressive one. These 7 week old Labradors were raised in a house and have spend most of their time in the busy, enriched environment of a pet home. They have frequent access to normal family life with its attendant noises, smells and sights. Notice how sociable they are with children, adults, cats and dogs. Their environment is full of objects for them to investigate. These puppies will make ideal pets that will readily form happy friendships with people and other animals. They are likely to be relaxed and confident in most situations and will find it easy to adjust to their new lives with their new owners. In addition, because of their routine and care, they are already nearly housetrained. 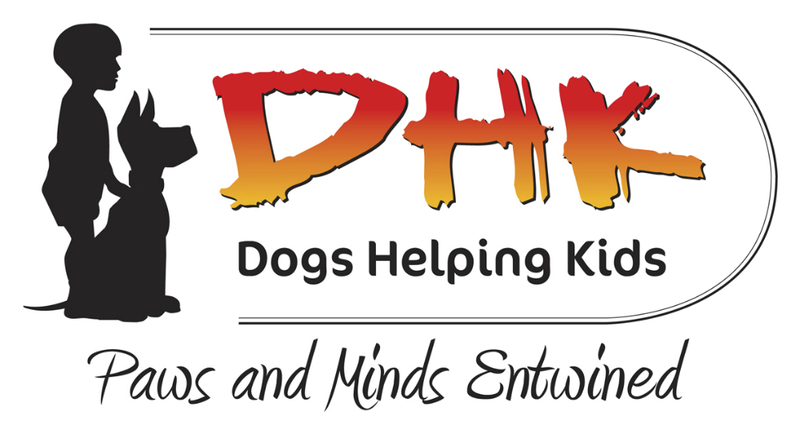 You may like to begin by going to dog shows and talking to breeders and owners there about their dogs. 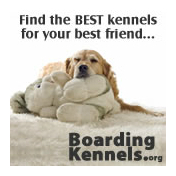 Dog shows are advertised in the specialist dog press or via the internet. 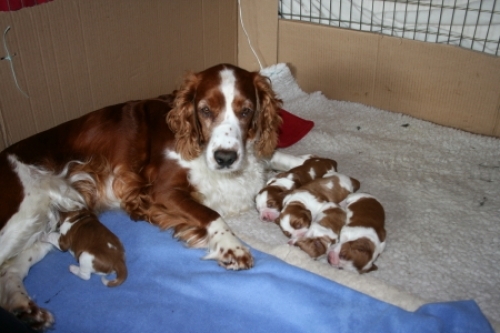 Find out about breed clubs and ask people who run them how to find a good breeder. Usually, these people are real breed enthusiasts and will have lots of useful knowledge. Ask people who own nice dogs of your chosen breed where their dog came from and talk to their breeder. Good breeders do not breed often and do not breed to order. They will be able to tell you when their next litter is planned so be prepared to wait – if you have chosen your breeder well, it will be worth it. allows you to see the mother with the puppies. arranges for the puppies live in the house or have regular access. cares about what happens to the puppies they breed. Avoid buying a puppy from an advert in the paper, over the internet, or from a pet shop, especially those that have many different breeds for sale under one roof. Both of these can be outlets for puppy farmers who keep dogs in small cages, breed from them continuously, and often take the puppies away from the mother too early. The resulting puppies are often physically compromised, unhealthy, and often show abnormal behaviour caused by the early stress. It is not possible to tell whether a puppy comes from such a place just by its appearance so it is better to avoid these outlets altogether. Puppy farmers go to some lengths to disguise their trade. They may arrange to meet you in the car park of a pub or service station close to your home. Or they may deliver the puppy to a colleague’s home so that you see the puppies there rather than on their premises. Try not to buy a sickly or pathetic puppy just to 'save' it. 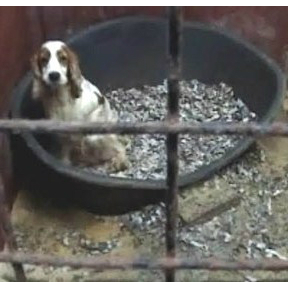 You are only putting money into the puppy farm system allowing these breeders to thrive and compromise the welfare of more dogs and puppies in the future.